Professional web design with an e-Commerce solution for their online food ordering service. Groundstone Cafe is Nestled in the heart of Orange within its cultural and museum precinct. They are open 7 days a week and offers breakfast and lunch during the week and brunch over weekends. 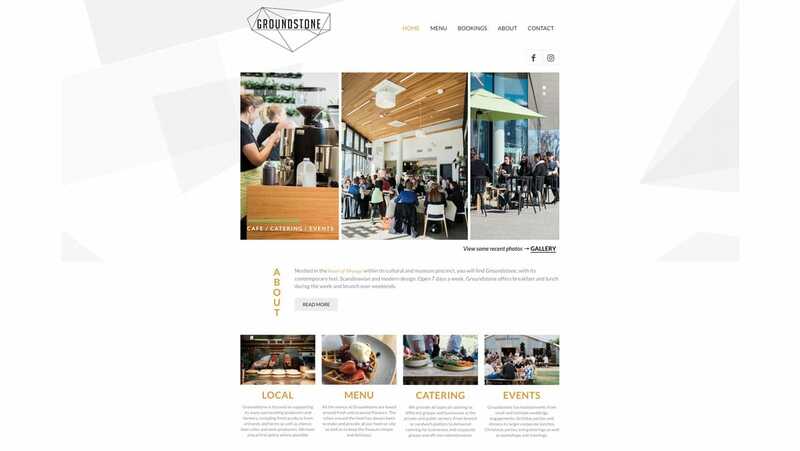 Groundstone Cafe approached us to create a professional website promoting their cafe and implement an e-Commerce solution for their online food ordering service. Social Web Works successfully created and delivered all aspects of Groundstone’s requirements. Designed them a beautiful new professional website. Created professional images for use throughout the website. Groundstone Cafe is delighted with their monthly subscription plan with Social Web Works. This means that they didn’t have to pay a large sum on delivery, plus they have all the website support they need. Website hosting on a dedicated server with managed hosting. Two comprehensive SEO reviews a year. Groundstone Cafe is situated in thriving Orange New South Wales. Get in touch with Social Web Works today and find out what a huge difference we can make to your online and marketing success.